Earlier, we reported Star Trek film star Anton Yelchin recently died in a freak car accident. Now, Hollywood Life reports the upcoming movie Star Trek: Beyond will be dedicated to the late actor and feature a special tribute. Yelchin played Pavel Chekov in the J.J. Abrams reboot movies Star Trek and Star Trek: Into Darkness. According to Hollywood Life, producers are currently adding a tribute to the credits of Star Trek: Beyond, which comes out in theaters on July 22nd. What do you think? 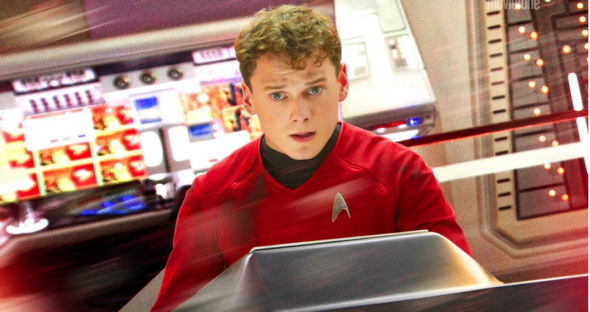 Were you a fan of Yelchin in the Star Trek movies? Do you plan on seeing Star Trek: Beyond? Yes and yes. He was the perfect Chekov, very funny! Sad that this happened to such a young, gifted actor. Absolutely looking forward to seeing the movie.